This article is part of a series in which HuffPost is taking a close look at the charitable giving of Republican presidential candidates. How much and to whom did they give? How does their giving compare with their fellow Americans? And what impact did their contributions ultimately have? 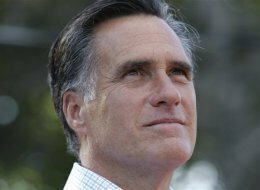 WASHINGTON -- Mitt Romney can afford to be charitable. The richest remaining candidate in the Republican presidential field has a net worth somewhere north of $200 million. With a fortune amassed as a venture capitalist at his firm, Bain Capital, he has been generous to many community, civic and political advocacy organizations. But the vast majority of his philanthropic contributions have gone to the Church of Jesus Christ of Latter-day Saints (LDS) in the form of the tithes required of all Mormons in good standing. The former Massachusetts lay bishop has spoken candidly about his religious faith, but his prodigious contributions to the LDS Church will do little to mollify evangelical primary voters whom polls show have a deep prejudice against electing a Mormon president.